Newly installed 412th Test Wing commander, Brig. 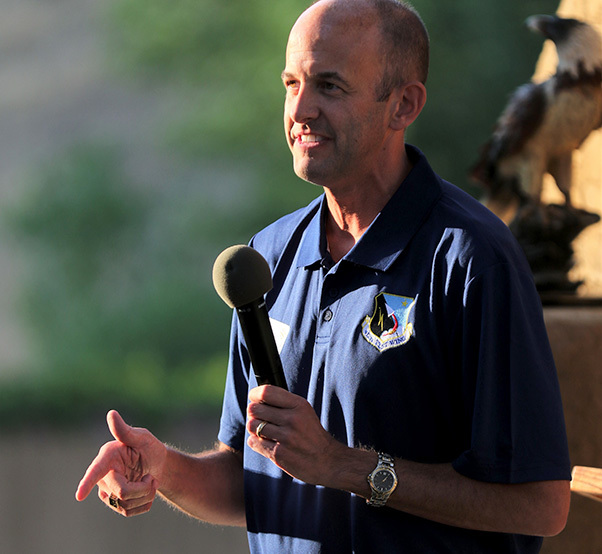 Gen. E. John Teichert, speaks at the 29th Annual Edwards Air Force Base Civilian-Military Support Group barbecue at the Hacienda Lane Ranch in Palmdale, Calif., July 20. More than 100 people from throughout the Antelope Valley, to include U.S. Congressman Steve Knight, and Team Edwards attended the event to show their support for an organization dedicated to supporting the quality of life on base. 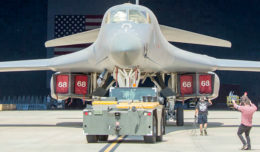 Edwards Civ-Mil was first established in 1989 in response to the Base Realignment Closure Commission’s determination to close bases all over the country and world. Today, the Edwards AFB Civilian-Military Support Group exists to create a support association between civic leaders and military personnel at Edwards AFB.